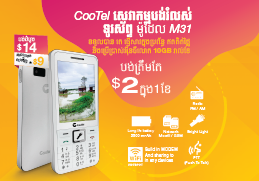 CooTel supports the Royal Government of Cambodia to enforce SIM registration for the purpose of national security and subscriber protection, we would like to ask all subscribers to check their registered profiles and update them if found incomplete or incorrect. You may register or update your profile by click here or any CooTel Branch. 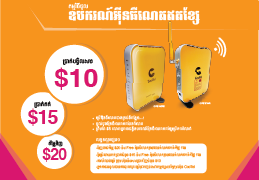 Please upload your Cambodian ID card or passport to register form. 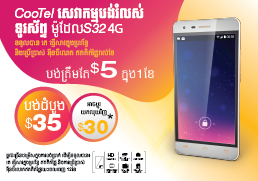 For more information on the SIM registration initiative by the Royal Government of Cambodia, please visit any CooTel Branch or call our call center at 8888 or 038 3300 800. Alternatively, you may also send a private message to our Facebook’s CooTel Page.